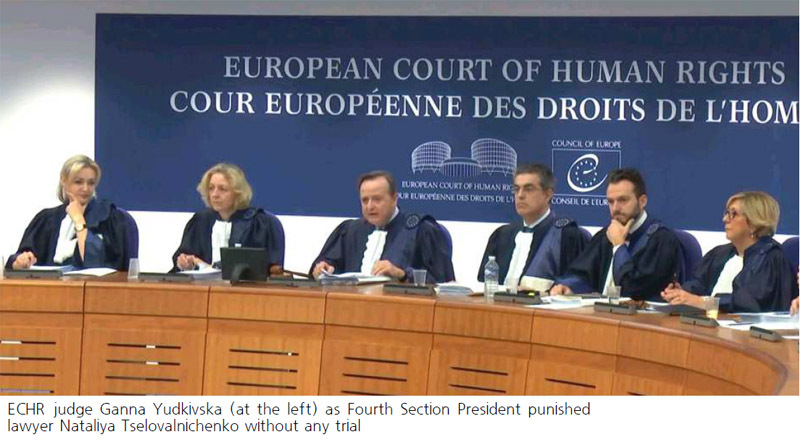 12 December 2018 ECHR issued press-release, accusing Ukrainian lawyer Nataliya Tselovalnichenko in “fraudulent and abusive behavior”, announcing her permanent disbarment from representing applicants before the Court. Near 200 of pending applicants she represents are deprived of legal assistance due to a backstage decision of ECHR, “based on the presumption of guilt of an attorney”, as it put Lidia Izovitova, head of the Bar Council of Ukraine. Ms. Tselovalnichenko, leader of Luhansk Human Rights Protection Group and advocate for many victims of war in Donbass and Chernobyl disaster, said that such criminal accusations were made without proper investigation and due process of law as possible revenge for her support of mass petitioning for compensations of damages caused during the armed conflict at Eastern Ukraine. In her words, she wasn’t informed about details of incriminated misconduct and was unable to defend own innocence before the Court; full text of the ECHR decision with factual and legal explanation is absent; she can’t even appeal. 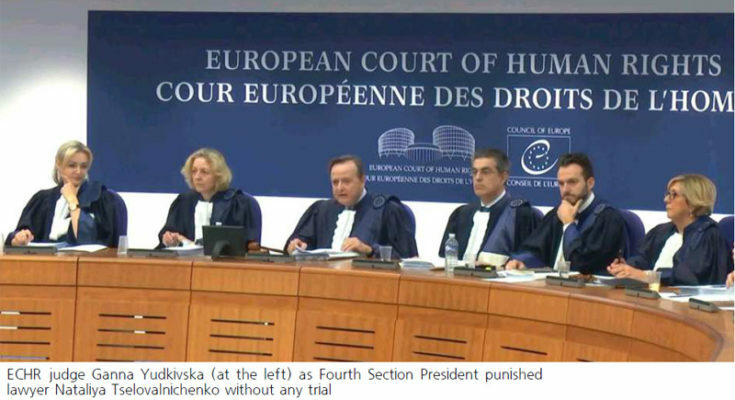 Minister of Justice of Ukraine Pavlo Petrenko in short comment to Pravdoshukach Newspaper said it is “strange” that ECHR doesn’t published the decision on disbarment of Ms. Tselovalnichenko, but assured that he completely trusts all ECHR decisions and will never question its reasons. Answering to our request, ECHR Press Unit explained that “it was an internal decision of a procedural nature and as such is not, as a matter of common practice, rendered in the form of a public text. The Court has on other occasions had to take this kind of decision where it has found the conduct of an applicant’s representative to be problematic”.